You may be surprised to learn that there are very specific and different rules for using hashtags on each social platform. This red, yellow, and green guide will explain how lenient and indulgent one should be when including hashtags in a post. Green = Go hashtag crazy. Red. Stop. Move away from “shift” and “3” keys. Hashtags should not be a priority on Facebook. When applicable, tag a partner page instead of using a hashtag. Hashtags should only be implemented when it complements a call to action as part of a larger, cross-platform campaign. Yellow. Twitter is the birthplace of hashtags and still their most natural home. Tweets with hashtags get two times more engagement than tweets without, and 55% more retweets. However, using MORE than two hashtags in a tweet actually decreases engagement by 17%, so use them wisely. Green. Feel free to go hashtag crazy. Hashtags (in the tagging section) on videos are important for search and discoverability. Use at least 3 tags on videos to increase the likelihood that users will find your content. Yellow. Like YouTube, Google+ is a platform that is important for search. Google will automatically tag certain posts with relevant and popular hashtags. Hashtags can also be added to comments on a post. It is often good practice to tag or add search terms used for paid SEO and webpage strategies on Google+ posts as well. Use one or two hashtags that will help users discover content. Green. Instagram is home to #ThrowbackThursday, #TransformationTuesday, and other alliterations that allow users to post baby pictures. #There #seems #to #be #a #hashtag #epidemic #on #Instagram, but believe it or not, these people have the right idea. Hashtags are the primary way to find and browse new content on Instagram, and data has shown that interactions are highest on posts with 11+ hashtags. While over-hashtagging is distracting and considered poor etiquette, do not hesitate to include as many hashtags as are relevant to the post to increase discoverability. Green. Like YouTube, hashtags are hidden on the back-end on Tumblr. This allows users to post more hashtags that cover all the aspects of the content. 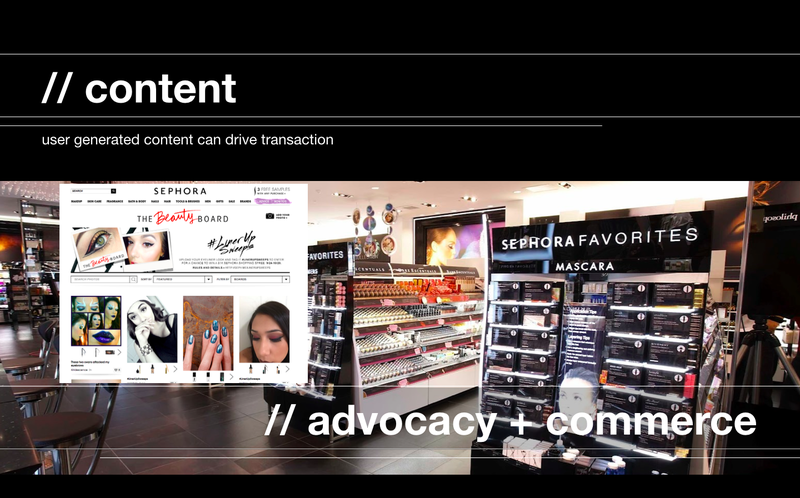 Use 9-12 terms that are both specific and general to completely represent the post content and the interests of the audience. Just remember that only the hashtags that are entered into the tag section will be clickable and searchable. Red. Believe it or not, hashtags may harm the reach of content on Pinterest. Clicking a hashtag will actually take you away from the content on the page, and to a list of all posts using that hashtag. This means that you will end up driving users to a list of other similar brands and competing content. Keywords, without a hashtag attached, are a better way to label content and help users discover it. Red. LinkedIn is unique in that the platform does not support hashtags at all. They are not clickable or searchable. A hashtagged word will just show up as normal text, and what good is a pound sign if doesn’t automatically hyperlink? Steer clear. I recently gave a talk on the evolution of social media marketing and I’ve posted the presentation deck below. Without hearing my voice guiding you through it, you may find a few slides confusing, but I wanted to share it and I intend to build on this for future posts. 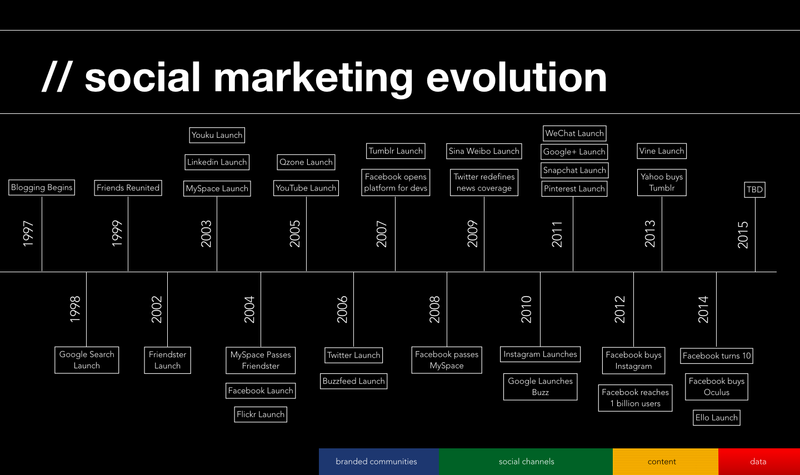 The presentation starts with a trip down memory lane by reviewing the rise of social media platforms across the globe. 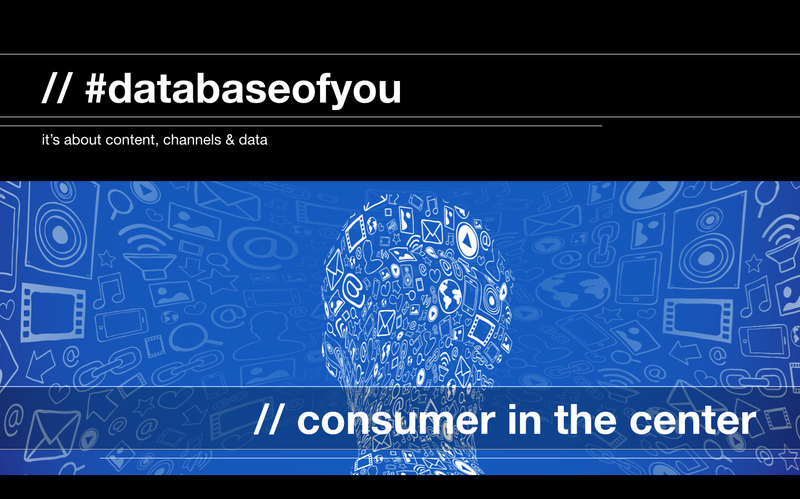 Next is a look at the impact social media trends have had on consumer behavior. 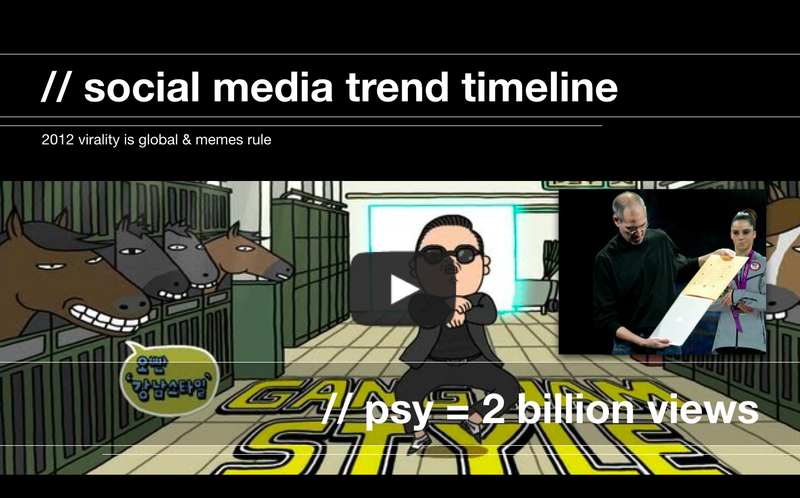 Everything from viral videos, #selfies and the rise of YouTube celebrities. Then focus shifts to the evolution of social marketing globally and the role that content plays in today’s social marketing programs. The journey wraps with a look at the future state of social marketing. Look for future posts as I dive in deeper on this path to where we are now and on where I think we are headed. And don’t forget to follow me on Twitter @BlackFin360.